The men released from British prisons arrived back in Ireland on 19Th June 1917. After spending a short time in Dublin, Ashe and his comrades Austin Stack and Timothy Brosnan set out for home, arriving in Tralee on 20Th June to tumultuous welcome. Ashe spent the night in Tralee and the next day accompanied by Austin Stack he returned home to Kinard to an enthusiastic reception. His stay at home was brief – two days in all. While at home he received a call to assist in the by-election campaign in Clare on behalf of De Valera. He left on 23Rd June never to see his home again. Ashe spent a fortnight canvassing in East Clare. The campaign was successful as De Valera won, polling more than double his opponent’s votes. 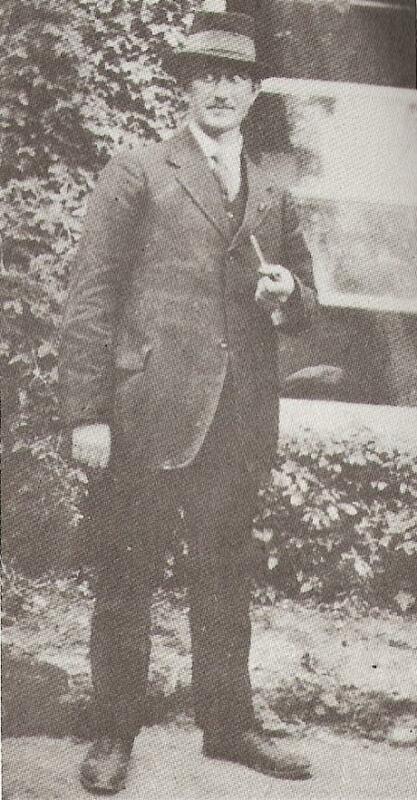 Because Ashe was one of two surviving commandants of the Easter Rising there was constant demand on his time to address meetings throughout the country organised by Sinn Féin and the Gaelic League. Operating at a hectic pace, he travelled widely to meetings in Dublin and Fingal, to Kilmallock and Bruree in Limerick, to the Oireachtas in Waterford and to Longford. It was at a meeting in Ballinalee, Co. Longford, that he made a speech which was considered by the authorities to be a cause of disaffection among the civilian population. It was because of this speech that a warrant was issued for his arrest. However, Ashe continued his campaign in his country’s cause. He spoke at an aeriocht in Donabate on Sunday, July 29Th and then returned to Kerry on his final visit to deliver the oration in memory of Roger Casement who had been hanged on August 3Rd, 1916. This commemoration took place at Ardfert on Sunday, August 5Th. Ashe was aware for some time now that the authorities were seeking an opportunity to silence and capture him so after the commemoration ceremony he went “on the run” returning to Dublin to the safety of Batt Connor’s house in Donnybrook. On Saturday, August 18Th, he went into the city centre to attend to some business. While waiting for the Donnybrook tram in the company of a friend Michéal Ó Foghlú he was arrested by two plain clothes detectives who happened to recognise him. Thus ended two months of freedom. Ashe was taken to Chancery Place Bridewell, and to Keane Barracks, Curragh Camp, the following day. He would have to face courtmartial once more.